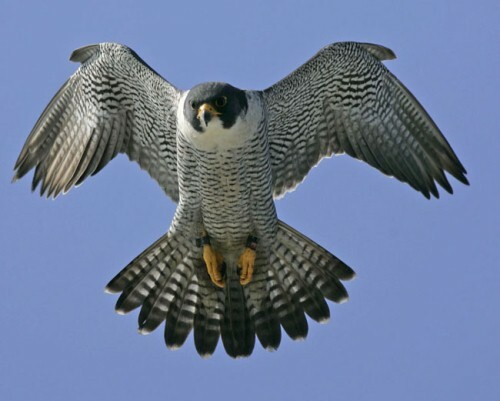 Peregrine falcon is considered as a fast animal. It can sneak up and dive with the speed around 320 kilometers per hour just to catch their favorite prey. It is impossible for the low speed prey to get away from the animals. The tail is very important to bring balance and high speed when peregrine falcon makes a fast movement. The tail is narrow, while the wings are pointed and long. Look at Macaw facts to know the colorful bird. May people can identify the peregrine falcons by looking at the face. It has been covered with black mask feather. The back and head comes in the color of dark bluish grey. To know a unique flying animal, check owl facts. To eat the prey and attack it, the animal is equipped with sharp talons, large feet and hooked bills. The white color is seen on the throat and under parts. The animal is also covered with brown and black feather. 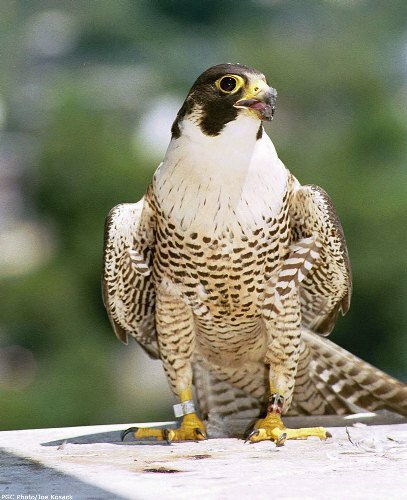 The male animal is called as tierce, while the female peregrine is called as falcon. It is large than its small counterpart. The weight of female peregrine is around 910 gram with the length around 46 to 54 cm. The female species has the raspy and coarse voice. 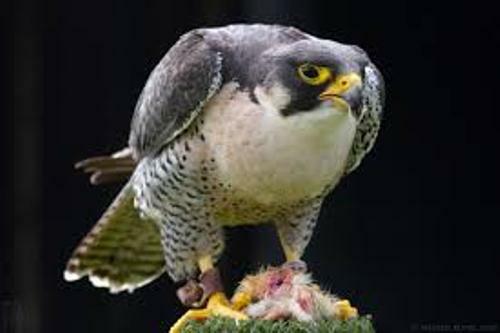 The weight of male peregrine is counted at 570 gram with the length around 38 to 46 cm. When the male peregrine makes a voice, it sounds high pitched and wheezy. If you want to see the nesting area of peregrine, you need go to the open areas. They do not like living in forest. They will go to tundra, river valleys, sea coast and marshes. They will build the nest on the cliff. However, if they find no cliff in the surrounding area, they will use the flat ground or trees. Peregrine likes to eat other birds. In the food chain, it is located on the top position. They like eating medium sized and large sized animals. You can find peregrine falcon in many parts of the world. However, you cannot see them living in Iceland, Antarctica and New Zealand. 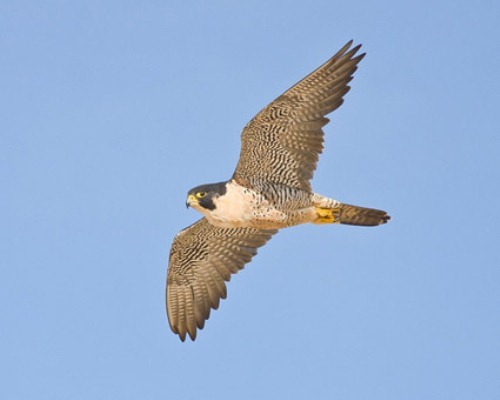 There are three subspecies of peregrine falcons that you can see spreading around North America. They are anatomy, peeled and tundra. 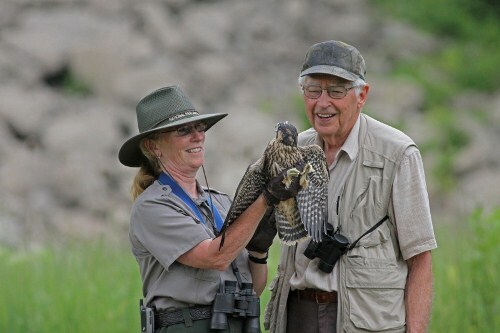 Do you have any question on facts about peregrine falcon? Saber Tooth Tiger Facts give the very best information about one of the pre historic animals in the world.